It is widely believed the Gorilla population wouldn’t be in the numbers it’s in today without the devout work of Dian Fossey, an American zoologist who spent a large part of her life at a remote research camp in the Virungas studying the mountain gorillas and advocating to stop poaching, which was driving the gorilla population to extinction. Tragically, Fossey was brutally murdered (many suspect by angry poachers) on December 26, 1985. 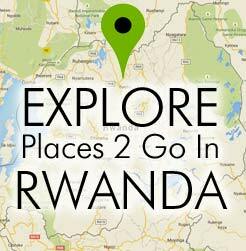 Fossey was buried in the Virungas next to many of her primate research subjects. 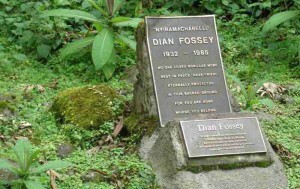 Today, visitors to Parc National des Volcans can take a hike to see Dian Fossey’s grave and gorilla cemetery. From the park headquarters it’s about a 30 minute drive to the trail head, followed by a 2-3 hour hike. Though her living quarters and other significant spots at the site are now in ruins, they are all labeled. The hike offers a glimpse into Fossey’s unique life and influential work at what was once Karisoke Research Center.